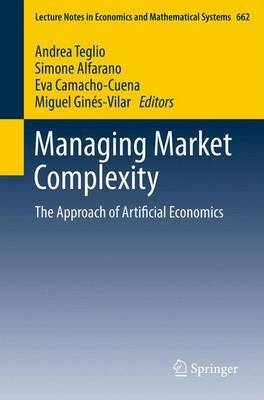 The field of artificial economics (AE) embraces a broad range of methodologies relying on computer simulations in order to model and study the complexity of economic and social phenomena. The overarching principle of AE is the analysis of aggregate properties of artificial economies populated by adaptive agents that are equipped with behavioural rules and specific individual targets. These aggregate properties are neither foreseen nor intended by the artificial agents; conversely they are emerging characteristics of such artificially simulated systems. The book presents a peer-reviewed collection of papers addressing a variety of issues related to macroeconomics, industrial organization, networks, management and finance, as well as purely methodological issues.